If your view is bearish, you can trade Strip. This strategy is opposite to Strap. The Strip is a modified version of long Straddle. 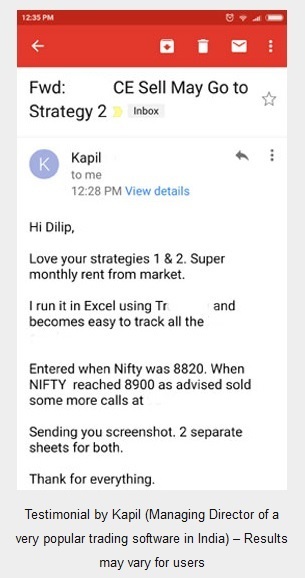 In a Long Straddle a trader buys ATM calls and puts in the same quantity. However in Strip since his view is bearish, he will buy 2 ATM puts and 1 ATM call. These options should be of the same stock/index, strike and expiry. See that profits from 2 puts are more than 1 call. Risk is Limited to the price paid to buy the options. Reward is Unlimited till the expiry of the option. Please note that the trader can still make money even if he was wrong – but the stock has to move in the opposite direction really fast. The 1 call bought has to beat the cost of buying all the options and still bring in some profits. When to Trade a Strip? Suppose a bad news has come and you want to take your chances – you can trade a Strip. Note that technically it is NOT required that you buy only ATM options. You can buy options from any strike but both calls and puts should be of same strike. 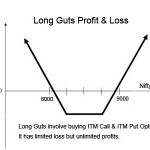 One can always ask – why not buy cheaper options of both the call side and the put side. Well yes you will save money but the risk will also increase. When a news comes in, index and stocks move very fast in either direction. Bad news – means going south, and good means going north. 1. Delta of far OTM options are very small. A 1 point movement in stock will not have much effect on the option premium. 2. Theta will also eat premium everyday. If the expiry is near and the option is still far, it will actually decrease in value even if the stock moving in its direction. 3. After the news volatility crunches. The option premium will reduce anyway. A buyer has to fight this as well. I hope it is now clear why buying far OTM options is a dangerous game. How to Trade Strip in the best possible way? 1. 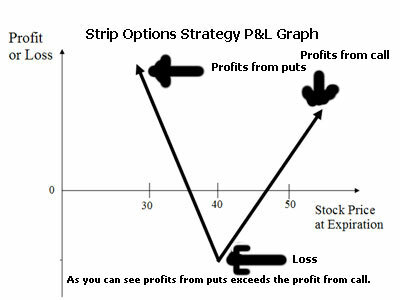 Traders don’t try this – but Strip will work better on a stock not on a Index. Because in a stock a movement of 2% is quite easy after a news. However volatility will still be a problem with buyers. 3. Analyze the news. How bad or good is that. 4. If the news is good trade a Strap. If the news is bad trade Strip. 5. If confused but still bearish, buy just OTM strike 2 puts and obviously that strike is just ITM for the call. You created a Strip highly favoring the bearish markets. 1. Stock moves down: Great result. The puts you bought were not very far off from the ATM strike and cheap too. In terms of percentage they will increase very fast. The call will decrease in value – but it will become first ATM and then go OTM. 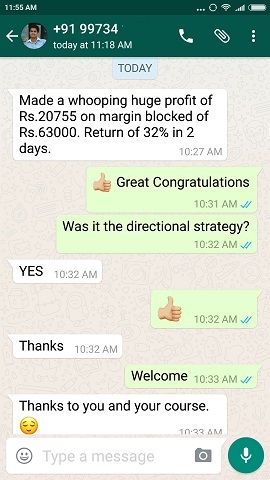 A 100 point movement can bring in good profits. Because when you book profits and sell the call you will still get a good premium. You are already making good profits from the puts. Result: Not a big loss from the call, and great profits from the puts. 2. Stock stays in range: Bad result. If the options you bought were cheap you can hold onto expiration, else you should sell after seeing no movement for the next 3 days. Usually whatever movement has to come it comes in 3 days after the news. Then the news dies down and normal trading begins. Which means there is no point in waiting after 3 trading days. Sell all options bought and book loss/profits. 3. Stock moves up: Good result. The call option was already ITM so, it will have a good delta and will move faster. The two put options bought will lose value fast, but this call option will be bringing in profits. Though since its only 1 lot, you may have to wait for sometime to book profits. Not sure here because a lot of Greeks decide the option price but if the stock moves up 2% up in 2 days – the profit from the call bought should surpass the losses from the puts to a good extend. Remember that volatility has decreased, so 1% movement may not be enough. Strip and Strap are rarely traded by trades worldwide. The reason being they are skewed towards a direction. Most trades are fed up with directional calls so much so that they start adopting the non-directional strategies. Therefore they buy Straddles. However with most buyers losing money, after a while they stop trading altogether. Have you tried the Strip? If yes please share your experiences. what you mean by If the trader is lucky? are we betting here? sorry but what the whole point of the article and what you wanted to convey to us? Good question but the answer is simple. Stock trades are a bet. For example if you buy a Stock lets say Axis Bank at 470 – you are essentially betting that it will move up sometime later. If it moves up you were lucky (luck in that sense). 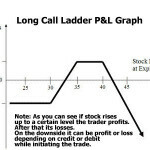 If it doesn’t your were unlucky – then you got to decide whether you want to keep this stock until it goes up again – or sell it at a loss. 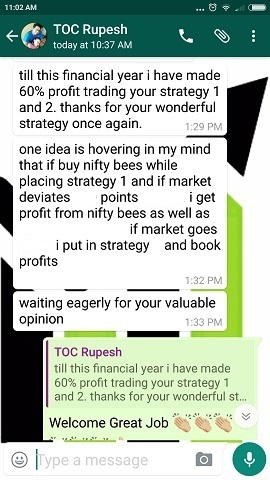 If the trader’s view is correct and the down-move actually happens – he will make more than had he implemented just the straddle strategy. Hope that clears the confusion. 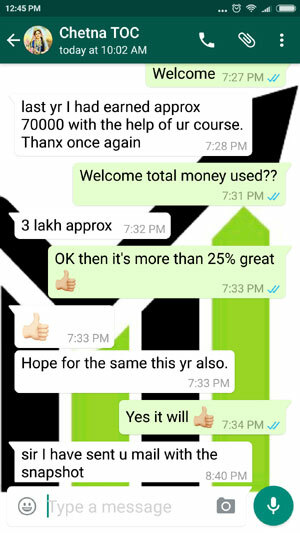 Sir don’t you you are contradicting your own statement made on November 8, 2014, 5:38 pm on http://www.theoptioncourse.com/can-make-enough-money-trading-live-comfortable-life/ ? I do not know what I contradicted. Being lucky not necessarily mean gambling. Risking more than you can afford is gambling. But taking a conservative approach is not. The point of the article is to help traders who trade Strip. 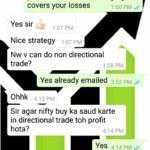 If you do not trade Strip, you may ignore or read to know about the Strip trade. Who knows you may get an opportunity to trade Strip in future. 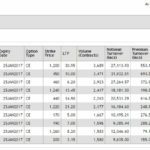 This article will give you some info on how to trade Strip well. That is it. Sir as you studied more on volatility (VIX) and use it for your trades I have a question… today there was a drop in VIX and rise in PRICE, how you read it and what it suggests? Dhadiga, I am not a technical analysis guy but usually VIX is inversely proportional to Price. You can see that when VIX rises Nifty falls, and when VIX falls Nifty rises. When there is fear or panic in the stock markets the VIX or the fear factor increases, and Nifty falls because people start taking their money out. Similarly when everything looks good people get confidence and start buying stocks and VIX drops.